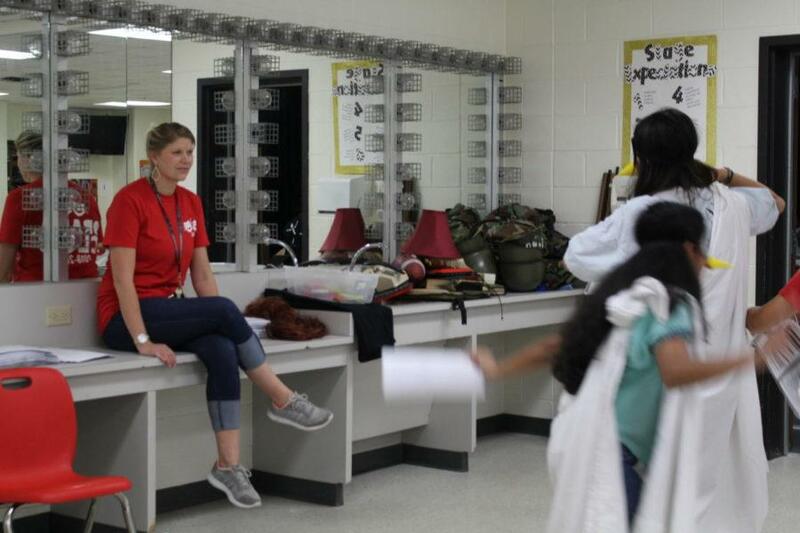 Coppell High School theater director Karen Ruth watches as three students perform a part of a Greek tragedy. 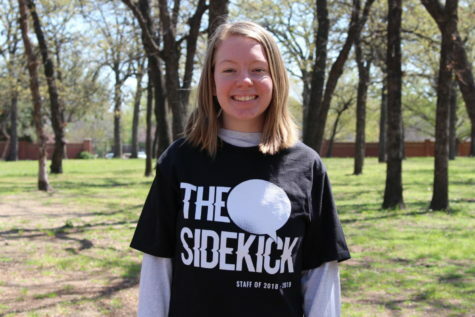 Ruth, along with many new theater directors, are bringing several changes to the theater department this year. As progressive movements such as the #MeToo and March for Our Lives movements occurring across the United States, new Coppell High School theater director Karen Ruth likewise plans on taking the department in a more progressive direction. Ruth decided to make this step towards more progressive shows because teenagers relate more to the plays revolving around their issues. “[We are] exploring some different challenges that young actors have in their personal life and things that might relate more to teenagers and the issues that they face in real life, as opposed to something that’s glossed over or easy,” Ruth said. Along with the theater staff, many students are looking forward to the coming year. Along with the step towards more progressive plays, the theater leadership team has significantly changed, with Ruth and new tech director Les Thomas. With three theater directors departing from CHS last year, some might see a completely new leadership team as a challenge, but Ruth chooses to take a more optimistic point of view. In addition to the fall musical, “All Shook Up”, the theater will be performing a full-length play in the winter and a UIL One-Act Play. One of the biggest changes coming to the department, however, happened by accident. In the past, auditions have been run separately, so that the choreography teacher was in charge of dance auditions, the director in charge of acting auditions and so on. However, due to the choreography teacher being unable to attend the original day they had planned, they decided to run auditions all together on two days. Regardless of whether these changes benefit the department, the theater students and staff have greatly enjoyed them so far.